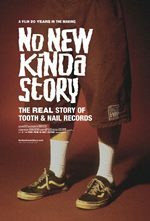 This video documents “the real story of Tooth & Nail Records.” Michael Knott is featured prominently in the beginning of the story, as detailed below. Clips from Knott’s video for the song “Tattoo” are also included. Brandon Ebel: And so I went and got the loan, and then I wanted to sign Wish For Eden and Focused. I approached a friend of mine who I had just got to know when I moved down to Southern Cal named Mike Knott. [unknown]: Well Mike Knott I mean is legendary forever. Brandon Ebel: So I said “hey man, I need you to help me get a couple of these bands signed. Will you be the president of my record label? And He’s like: “well, what does that entail?” and I go “all you have to do is meet with the bands a couple times, take ’em out for dinner, and I’ll give you $2,000. Rob Walker: Michael Knott started calling, and me and him started, you know, talking and he was giving me advice. And then we went out to dinner to, uh, work out the final details of the contract. And you see Brandon’s arms under the table passing, you know, money to Mike Knott to pay for the bill, but ‘Mike Knott’ – supposedly the guy from the label. It was just… It’s just like even if Brandon wasn’t part of the label, what’s he doing at the dinner? Brandon Ebel: I just did not think that anyone would sign with me. I’m like this 23 year old kid, with a loan from his grandpa, with no real experience. So I just I didn’t know if…. 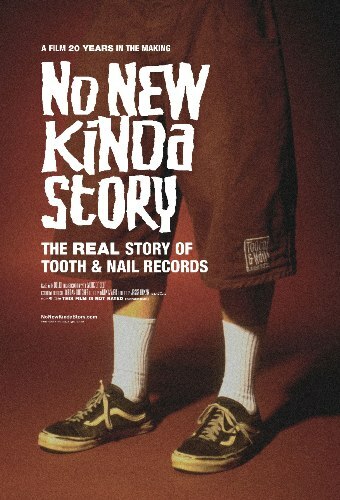 Mike Knott was somebody that had a name, a reputation. So that being said, in these meetings we would have, I was always his right hand guy, even though really, I was the guy.